Nas has invested in Exo, a cricket-flour food company, according to Bloomberg. The Brooklyn, New York company says that it has finalized a $4 million series A funding round from a group of investors that includes Nas, AccelFoods and Collaborative Fund. Exo sells its cricket-flour protein bars at Whole Foods, Wegman’s and online. It plans to introduce ready-to-eat shakes and protein powders to the market. An NPR story originally published in 2013 says that approximately 80 percent of the world’s population eats bugs. The United States, Canada and Europe are among the prominent places where bugs are not typically consumed. Nas’ investment in Exo is the latest of the Queens, New York rapper’s commitments to non-music related ventures. In 2013, he invested in San Francisco company Proven, which makes apps to help people apply to online job postings through cell phones. 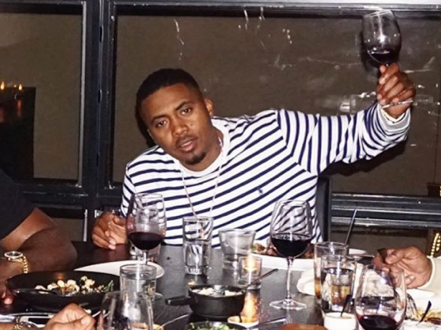 Last year, it was announced that Nas was partnering with Sweet Chick, a New York City restaurant that specializes in chicken and waffles and Southern cuisine. In 2012, Nas was added as an advisor of the then-RapGenius, which is now Genius.